New! 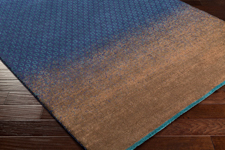 - The Surya DipGeo Collection is machine made with 50% Tencel and 50% Wool - New Zealand, in India. This collection was designed by Ted Baker. 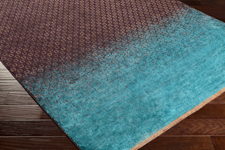 These rugs feature a medium pile, a lustrous sheen and felt backing.